Michael "Mike" Fischer is a Manitowoc native and a lifelong resident of the Lakeshore area. Mike is the President and owner of Fischer Insurance Agency & Financial Services, Inc. Mike lives in Two Rivers with his wife Diane. They have been married for more than 35 years and have two grown and married sons, Aaron and Jordan. They also have two grandsons, Ethan and Evan. Mike and Diane enjoy spending as much time as they can with their two wonderful grandsons. They also enjoy traveling and spending time outdoors with their friends and family especially in Door County. And of course, they are avid Packer and Badger fans. "Plan, Protect, Preserve... Peace of Mind"
Mike has been in business for more than 25 years now. 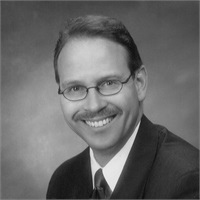 As an independent agent/advisor, he holds a valid Wisconsin insurance license as well as a Series 65 securities license. Mike's clients benefit from his extensive experience, independent advice and fiduciary commitment. Mike specializes in working with retiree's and those about to retire in the areas of insurance, investments, 401k Rollovers and retirement income planning. He prides himself on helping empower his clients to confidently take control of their retirement planning and make the difficult choices necessary to ensure a financially secure future. No financial double-talk. Just honest, straightforward advice.